Happy Friday!! And it's extra happy because my parents are in town visiting! And it's extra extra happy because I only had a 3 day work week! :) :) Linking up with Darci, Natasha, April, and Christina for Five on Friday to celebrate! On Monday, Kelli from Team Gilbert posted a recipe for banana "ice cream" that she makes as a sweets-craving-killer. Basically, all you do is slice up some banana, put them in a ziplock bag, and then freeze them. When you feel a sweets craving coming on, pull the bananas out of the freezer, and throw them in the blender with a tiny bit of skim milk (add a little bit at a time so you don't add too much), and voila! You've got yourself some banana ice cream. John and I have been planning mid-week lunch dates, and I'm not going to lie, I absolutely love seeing my hubby in the middle of the work day! We have been trying to get together once a week, and this week we went to a great place called The Grove. 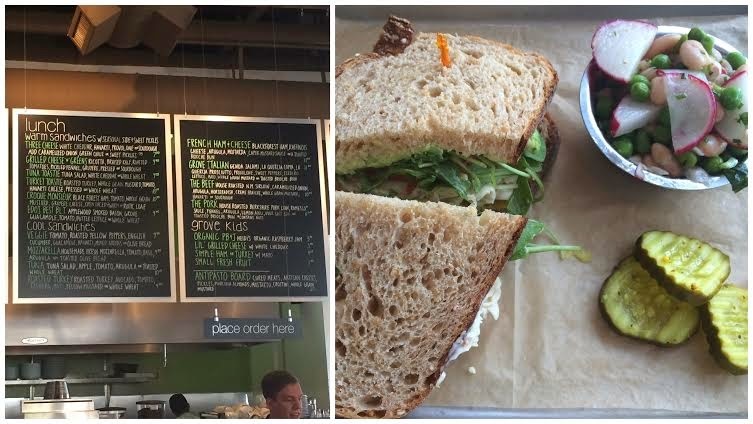 They have fresh sandwiches, salads, and soups. I don't know why, but lunch dates out with my hubby feel way more like a real break than lunch breaks alone! 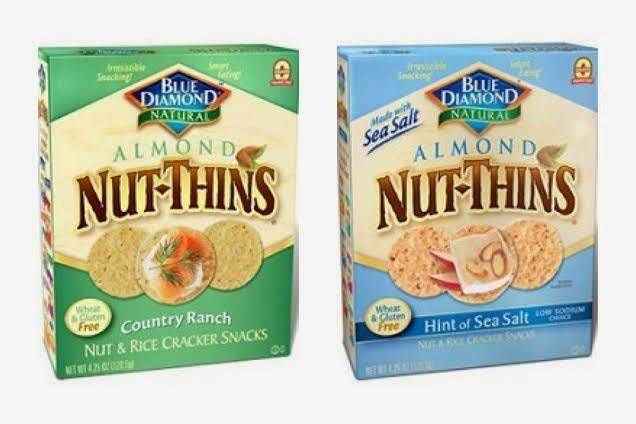 I feel like all 5 of my things this week are about food (sorry, not sorry), but have you tried these Almond Nut-Thins? You NEED to - they are so yummy, I have to pour myself a bowl because if I sat down with the whole box they would be gone in a very alarming amount of time. After trying many juices, I must say that juices with carrots in them always seem to be a favorite. My parents and I plan to hike tent rocks today (John has to work, boo work! ), and tomorrow we will all go to Santa Fe and Taos. So excited to spend time together! 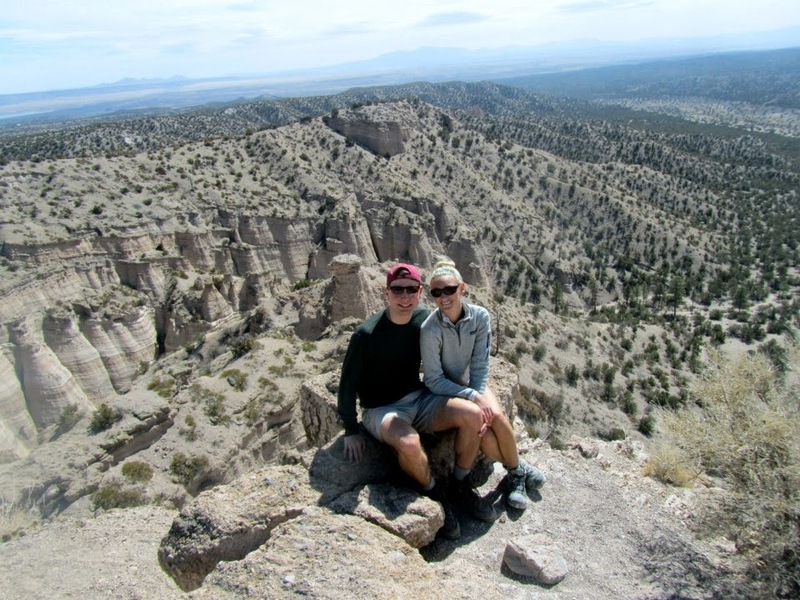 Below are pictures from hiking tent rocks this time last year. Making that banana ice cream in the bullet! I love veggie juice! I've been juicing a ton the past few weeks, and I love it! Lily and I are obsessed with those nut thin things! Are they chips? Are they crackers? Does anyone really know? They are so yummy!!! Happy Friday friend!! That banana ice cream looks amazing!! You are baking and cooking up a storm! Hiking is going to be amazing!! 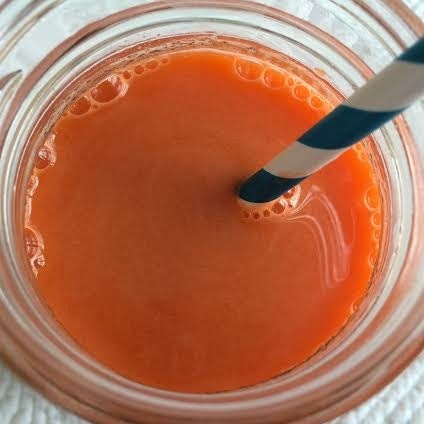 I love adding carrots to my juices - they really give a great flavor to them!! Hope you have the best time with your parents! That hike looks gorgeous! I'm so excited for warmer weather to start going on them! What a beautiful area to hike!! 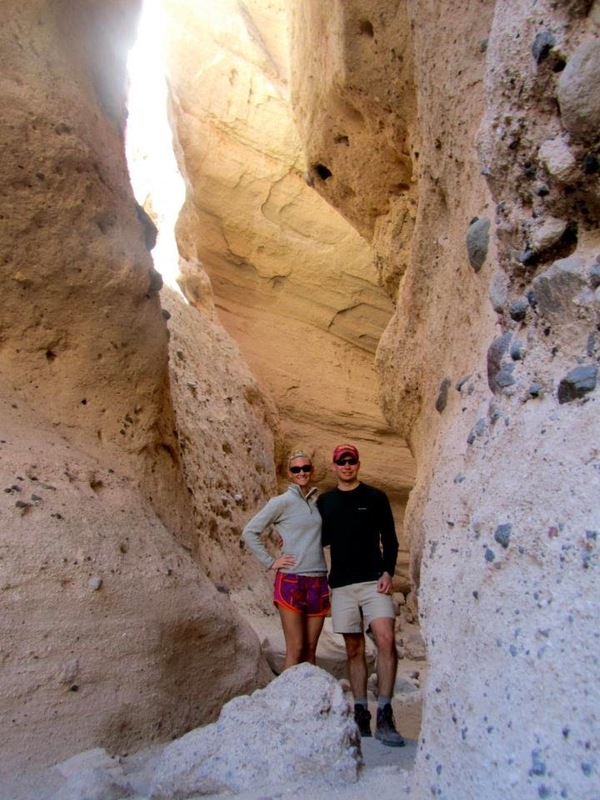 I'd love to do some tent rock hiking someday. Have a nice weekend!! that banana ice cream is my favourite! i don't add the skim milk though, and i make whatever i'm adding (PB or chocolate) and then freeze it, rather than attempt to put frozen 'nanas in my blender. and i LOVE all the nut-thins - yummmmmmy. Enjoy the visit with your parents! Hiking is always such fun. Santa Fe is beautiful, and I love the little church there with the free curving stair case. Beautiful! I think I would add some dark chocolate chips to my banana ice cream...that's still healthy right?! Have so much fun with your parents!! Those almond nut thins....need to add to my shopping list they look so good! I love when I get to see Mark in the middle of the day for lunch it's rare but such a nice treat! I will have to try that banana ice cream, sounds like a great guilt free treat:) have the best weekend with your family!! I have everything for that sunshine juice - I need to try that. Sounds delish and healthy! And yay for lunch dates with your honey, that sounds like so much fun! Yum to that banana ice cream! It looks so good! Definitely giving that a try. And the mid-week lunch dates sound perfect! My BF and I are on two different work schedules, which makes meeting for lunch impossible. Hoping that one day we will be able to do that! your recipes inspire me! :) you are just the cutest wifey!! much love! Wow! Those rocks look awesome! Have fun with your family this weekend! 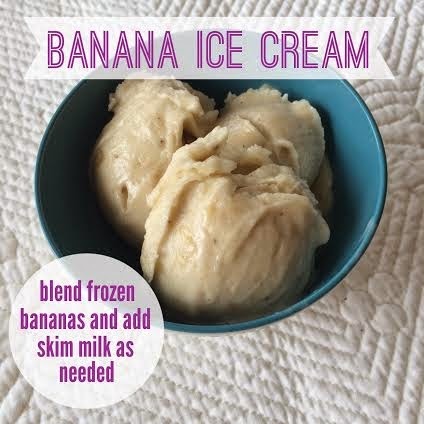 I seen a banana ice cream recipe on pinterest this week and now that I've seen your post, I totally want to make some (asap!) That is so sweet that you and your husband plan a lunch date during the week! I wish my husband and I could do that! I will have to try those almond nut thins, I have been looking for new healthy snacks! Enjoy your time with your family! I can't get enough of frozen bananas, they make such a great snack...dipped in chocolate mmm. I've never tried it blended like that but I'm betting it would be so good. I bet Aria would enjoy it too. That is sweet that you can get together for lunch dates! Love the nut thins! And the banana ice cream with pb! Yum! I met my hubby for lunch during the week and it's so fun! It feels like you're skipping out on work a little :) Sounds like a fun weekend! Enjoy the time with your parents. Isn't seeing your hubby in the middle of the day fun!?!? I got to have lunch w/ my man today and LOVED it! :) have fun w/ your parents - and I'm glad to hear the banana "ice cream" was so delicious! I will definitely be trying that banana ice cream! So easy and healthy! And I totally agree, lunch dates with my husband are always the best :) Hope you're having a great weekend with your family! Mmmm lots of yumminess in this post!! I must try the banana "ice cream" - seems like a great way to satisfy a sweet craving! Love those little mid-day lunch breaks! I wish DG and I could do that sometime! Your weekend sounds wonderful! Definitely trying that banana ice cream idea!